This Bi-fold Brochure Template is InDesign file ready for print. 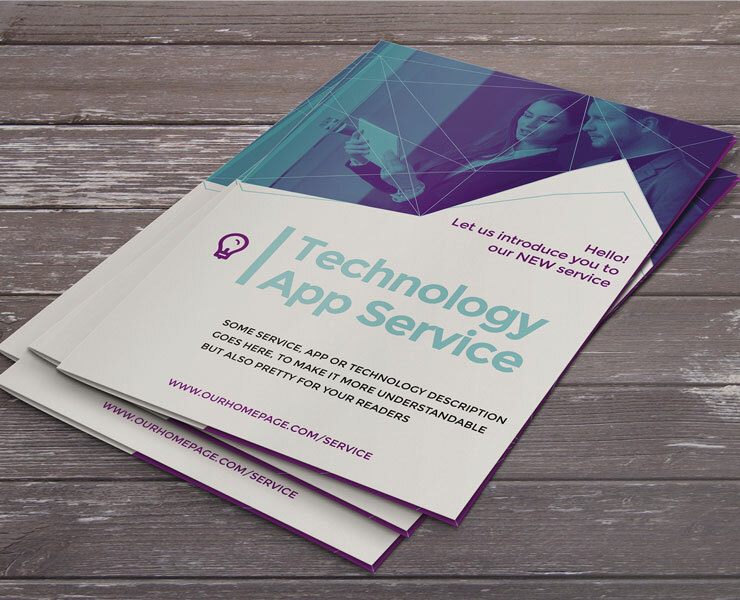 With this template you can easily create your next bi-fold brochure in minutes. You can change colors to better fit your brand or logo. We created palette of three main colors: Light Color, Dark Color and Black. Change Light and Dark Colors swatches to match your desired color scheme. For better results, convert your images to Grayscale mode and Relink them trough InDesign to reach effect presented in our mockups. Bi-fold Brochure Template is multi-format file – US Letter and A4, and available for InDesign CS4. We hope you will like it and further modify it for awesome results. We used free fonts and free icon font.